If you consider yourself a music enthusiast and want a hi-fi system or components that simply deliver better sound, read on and you’ll discover why Quad could be just what you are looking for. 75 years of continuous design and production of some of the most revolutionary, reliable and best sounding high fidelity components in the world stands as a unique qualification. Quad still stand as a unique company and the new ranges are, if anything, more revolutionary, reliable and considerably better sounding than anything that has gone before. The experience is hard-earned yet Quad components are probably far more affordable than you may think. The history of Quad is one of audio excellence. The early products were all firsts of their particular type and cast the mould for the products which would follow for many years afterwards. Quad products are renowned for their longevity, and a journalist recently commented that new Quad products come along slightly less frequently than leap years. You might think that this would leave Quad trailing behind other manufacturers, but quite the opposite applies. 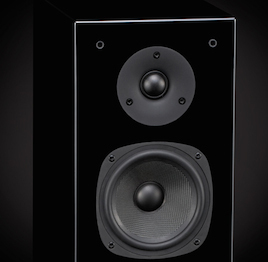 Instead, every product Quad releases is a landmark, building on the successes of the predecessors, refining and innovating to bring you closer to the original sound. 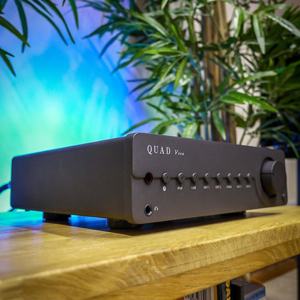 Quad is owned by the IAG Group, a very strong and well established technology company with a number of respected audio brands and dedicated to remaining at the forefront of high quality audio innovation. The company was originally founded in 1936 by audio master Peter Walker, under the title, the ‘Acoustical manufacturing company’. The company produced ‘Public Address’ systems and compact amplifiers (relatively speaking). In 1949, The company produced the ‘Corner Ribbon Loudspeaker, producing higher frequencies than had ever previously been achieved. In the same year, the QA12/P was launched and the brand ‘QUAD’ was born from an acronym ‘Quality Unit Amplified Domestic’. Many fantastic products followed – Electrostatic panel speakers, amplifiers and systems which bring us up to the present day and the latest models. 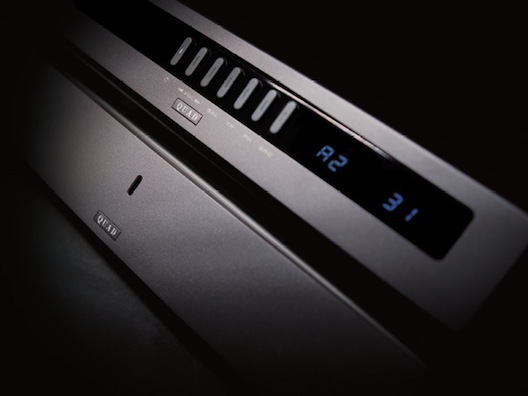 The new Vena integrated amplifier is both completely modern and affordable, yet pure Quad. We were lucky enough to have a pre-production version of the Vena arrive on our doorstep recently and we have to say, it's the highlight of our year. Today we can put together a Quad system that will do exactly what you want – and probably more. Let us introduce you to the range and show you how the combinations work.